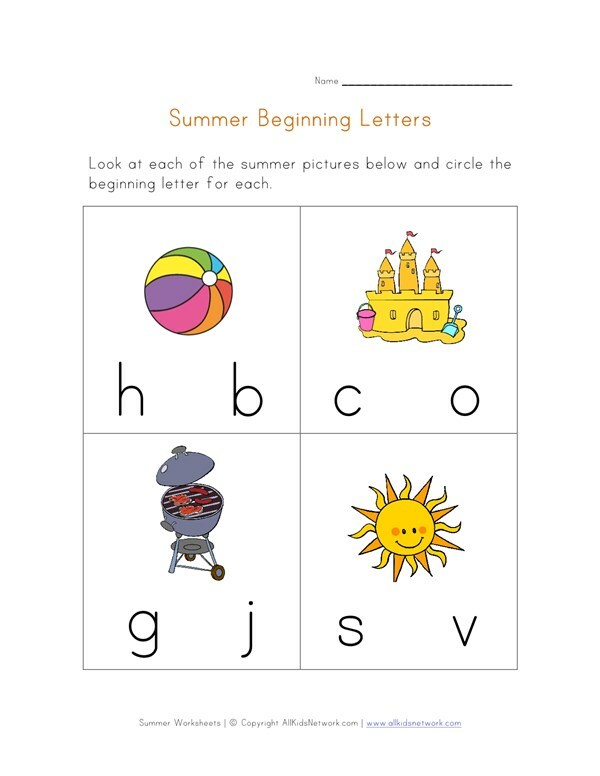 Help kids practice their ability to recognize what letters start words with this summer beginning letters worksheet. 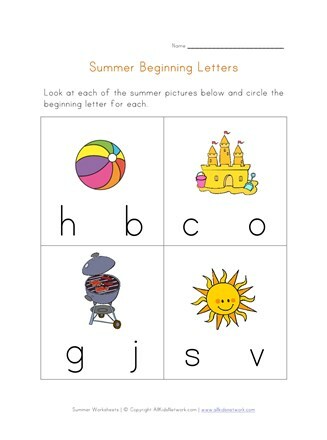 There are pictures of summer related items and each has two letter next to it. Children are asked to circle the correct letter that starts each word.